What is an Opm Form 71? The OPM-71 form is known as a Request for Leave or Approved Absence. 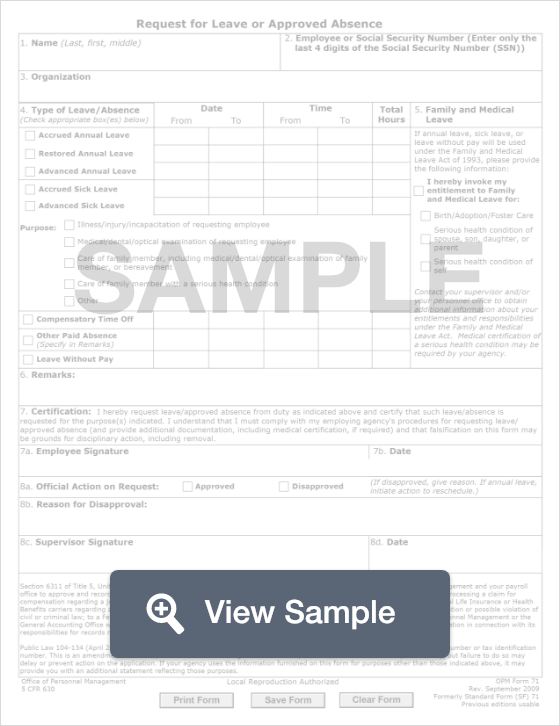 This form will be used by people who are working in federal employment positions. An OPM-71 form is used by the United States Office of Personnel Management. This form is known as a Request for Leave or Approved Absence. This standard form is used by federal employees to obtain a leave or approved absence from work. This form can usually be obtained online at a company website or from the human resources department. On this form, the employee must detail what kind of leave they want to take. This could be sick leave (your own serious health condition or that of a loved one), personal leave, or a leave related to bereavement. The employee should list whether or not they will be using any accrued leave or sick time. They could also indicate that it is going to be leave without pay. After submitting the OPM-71 form, it will be approved or rejected by the supervisor. 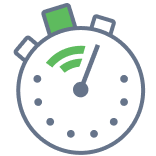 Create a free Opm Form 71 in minutes with our professional document builder. You can download a PDF file of the form or fill it out online. The employee is required to provide this information by Title 5, Section 6311 of the United States Code. The information collected by the OPM 71 Form may be shared with other government agencies including law enforcement agencies for possible violations of criminal law, the General Services Administration that is in charge of records management, the Office of Personnel Management, to Federal Life Insurance or Health Benefits carriers regarding a claim, or the General Accounting Office that evaluates leave administration. If the agency uses the information on the form for any other purpose, they must provide you with an additional statement stating those purposes. Public Law 104-134 requires every person that does business with the government to provide a social security number or tax identification number.